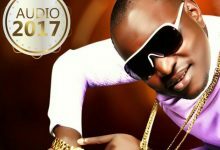 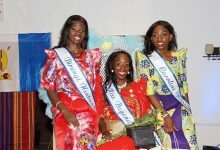 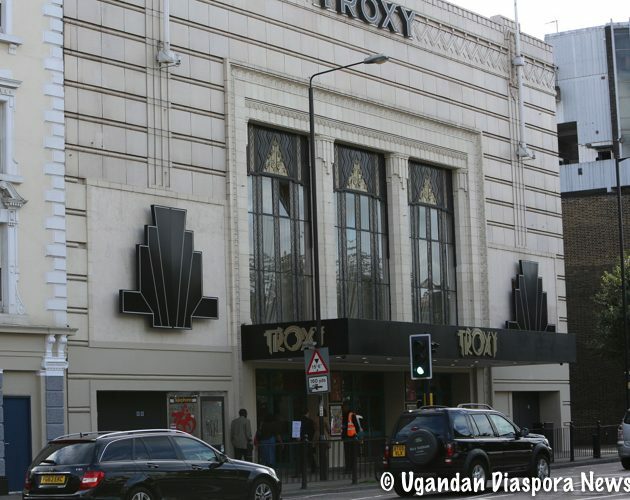 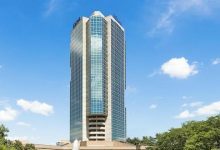 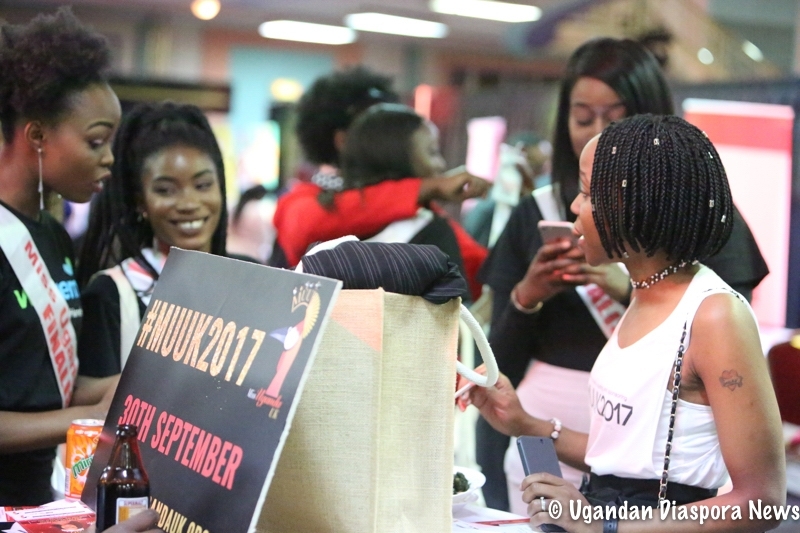 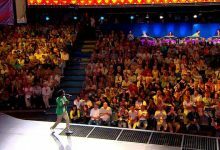 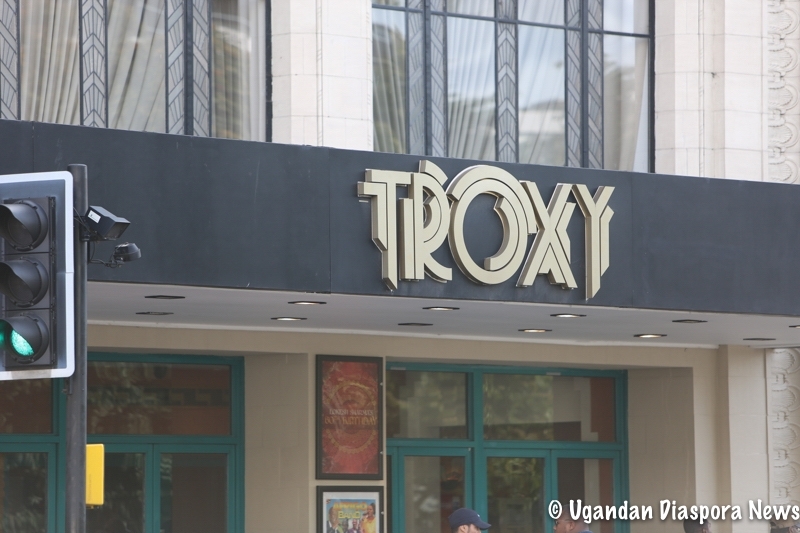 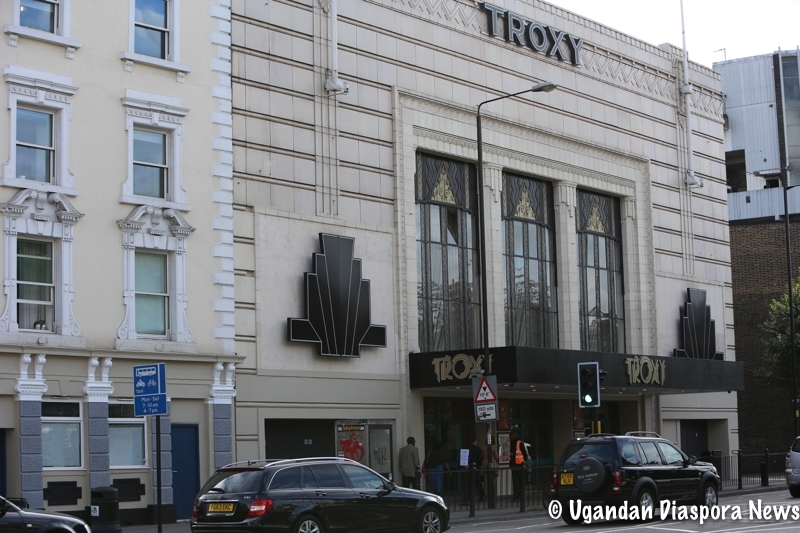 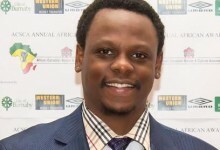 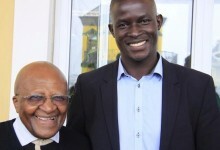 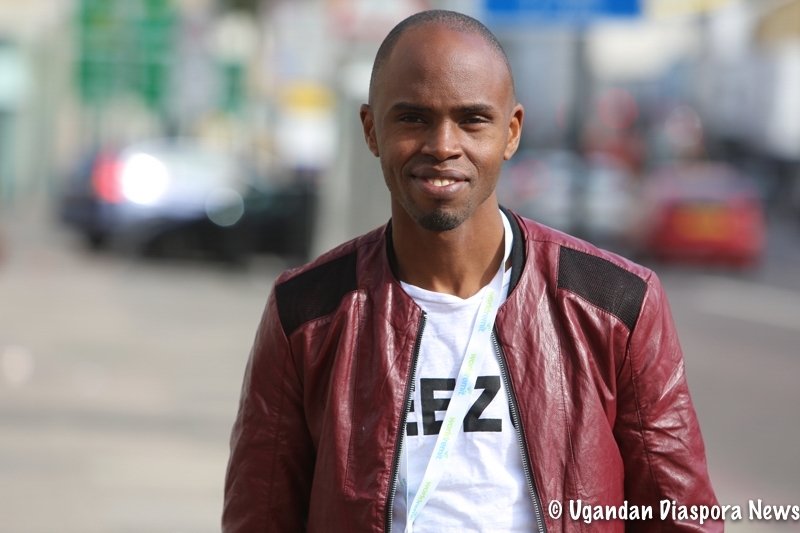 By Ronnie Mayanja — On Friday September 15th I set out from Boston to attend my first UK Convention at the Troxy in London. 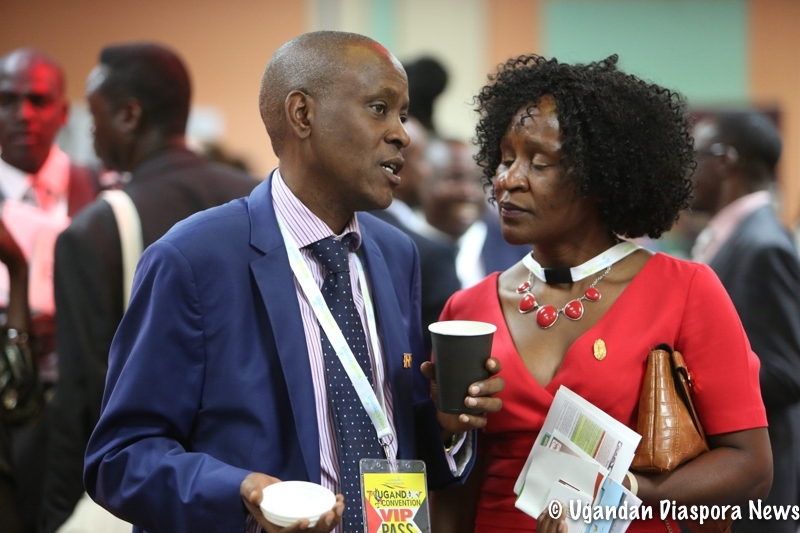 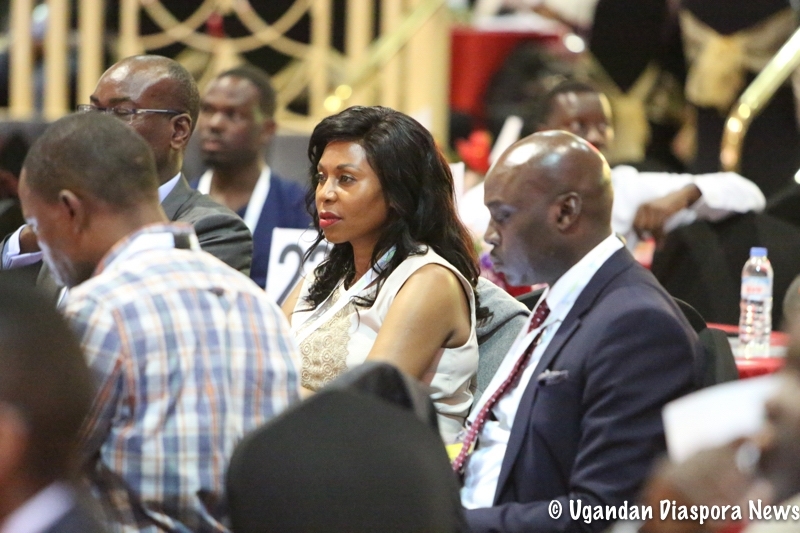 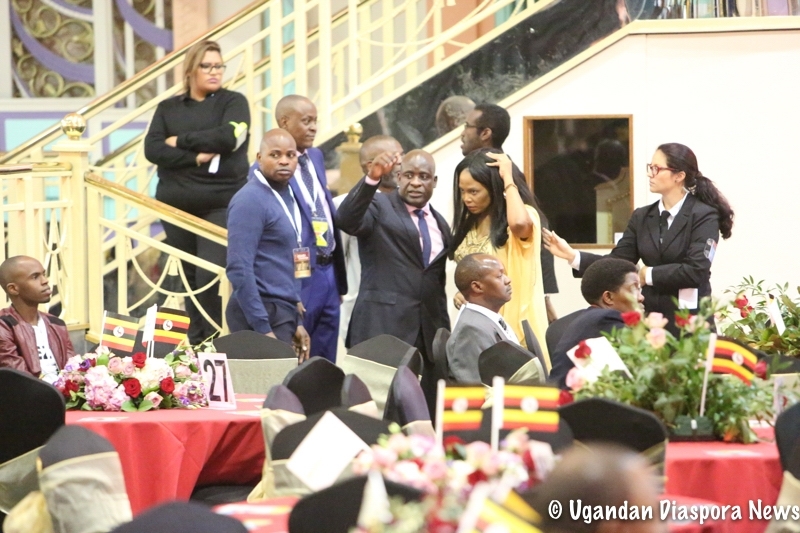 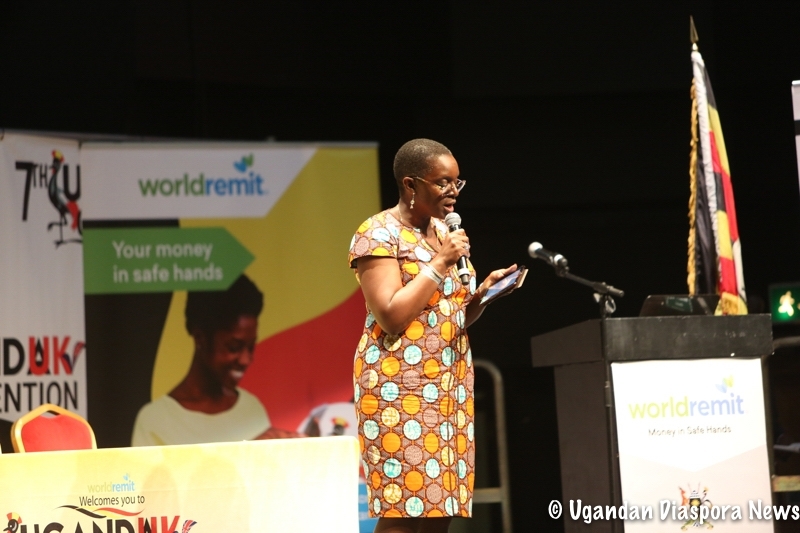 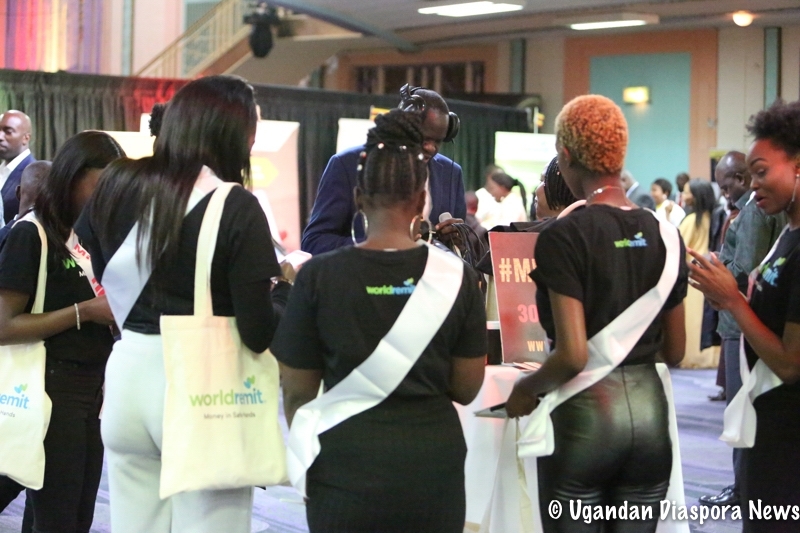 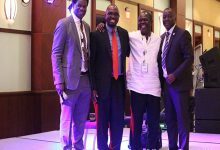 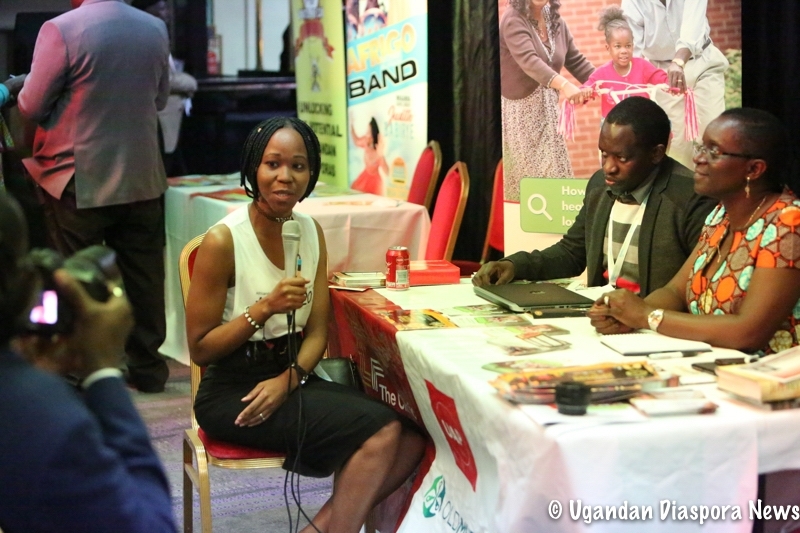 Now in its 7th year the event held on one day with a Business Forum in the morning and entertainment in the evening attracted a sizable crowd especially the evening program that saw Uganda’s legendary Afrigo band perform LIVE their favorite hits through the years. 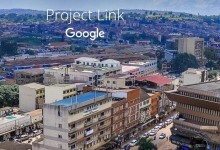 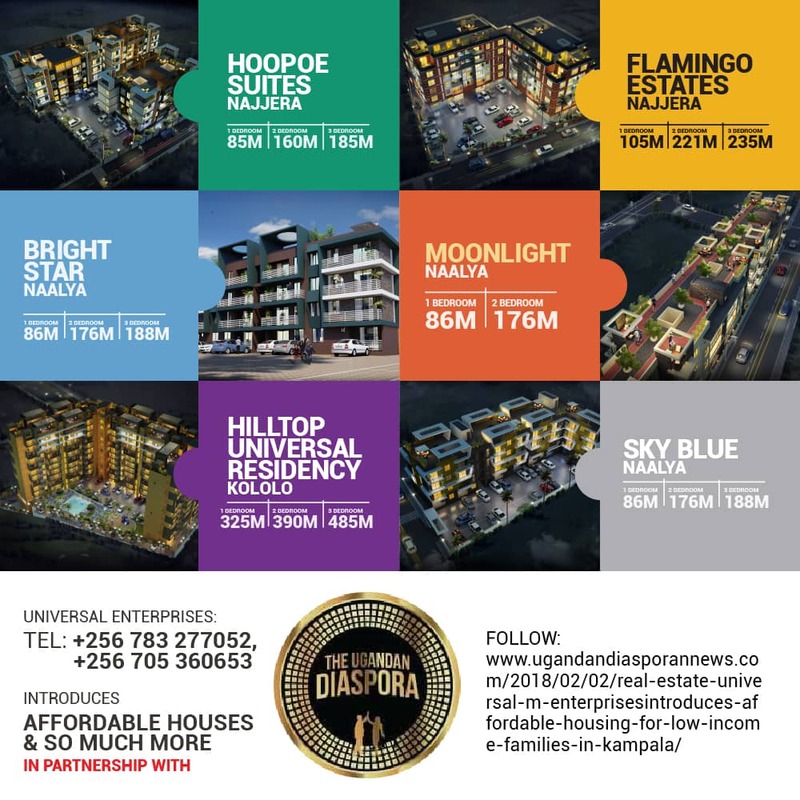 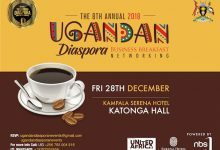 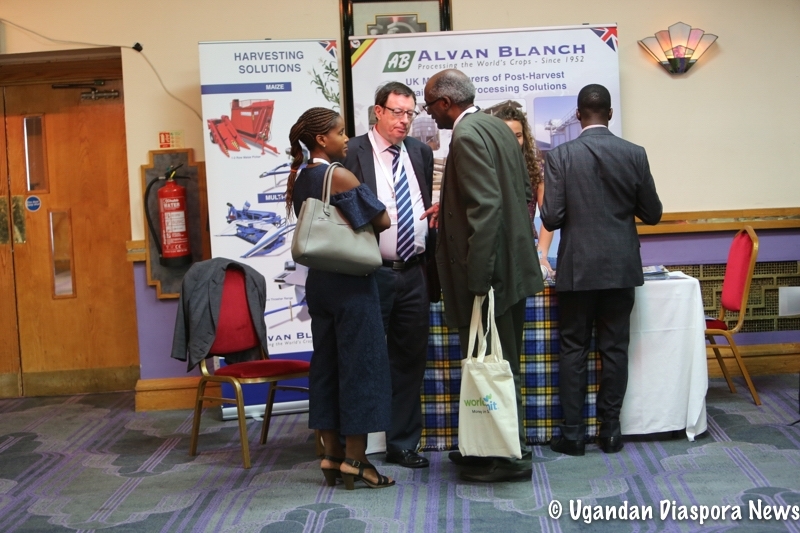 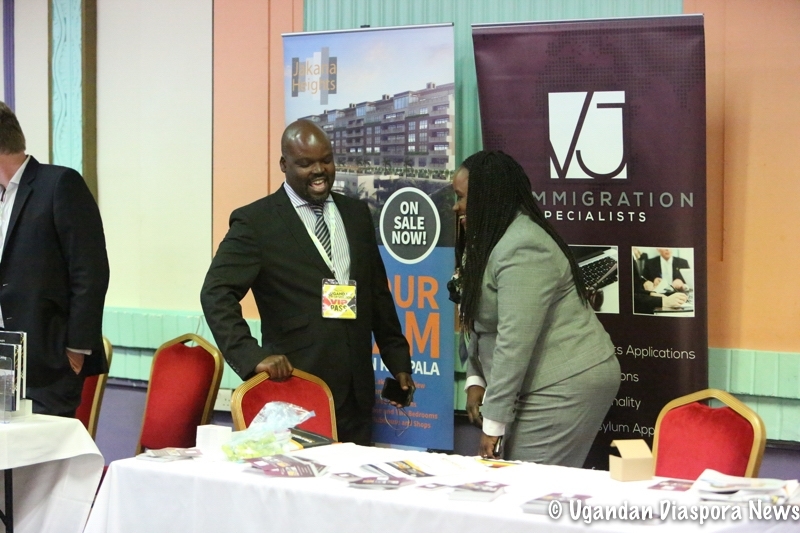 Organized by Mr. Willy Mutenza the event attracted several Business leaders, Company CEOs, Politicians, MPs and a cross section of Ugandans living in the United Kingdom. 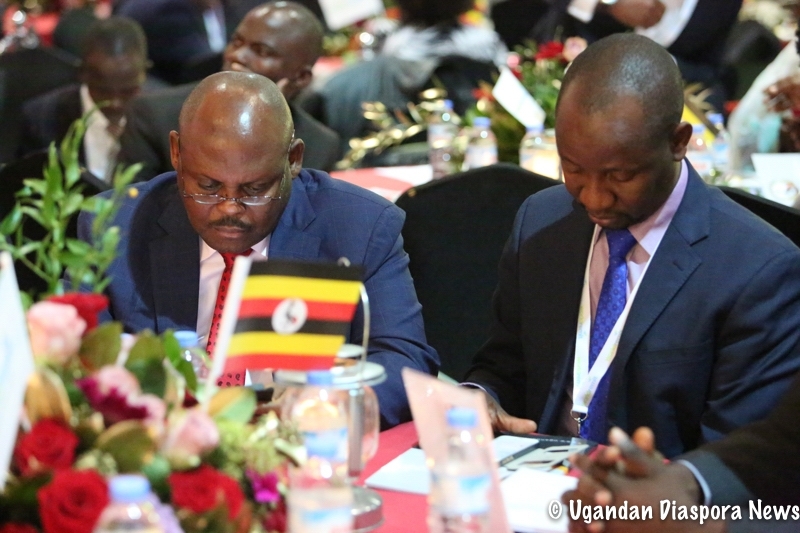 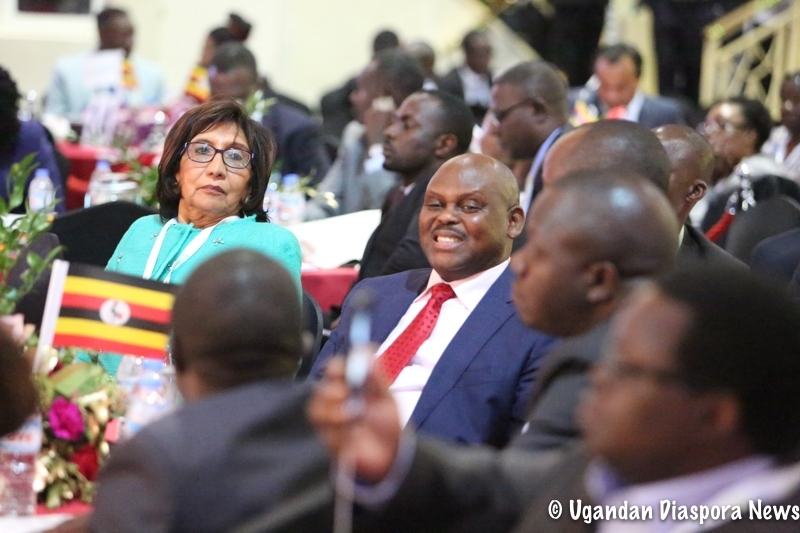 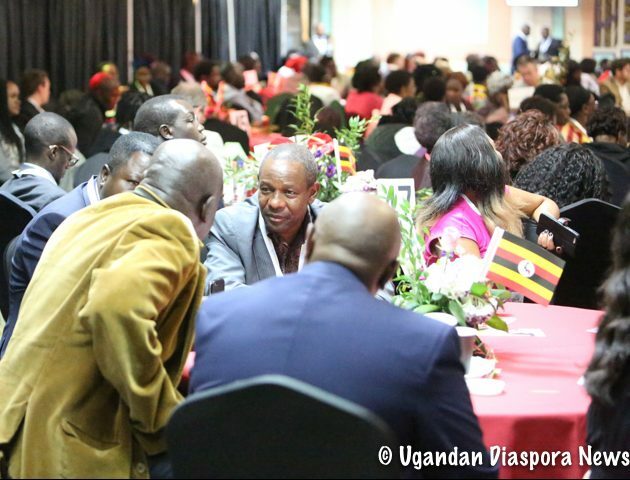 The Guest of honor was Uganda’s Vice President H.E Edward Kiwanuka Sekandi while the Keynote speaker was Uganda’s Speaker of Parliament Hon. 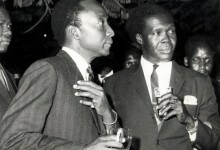 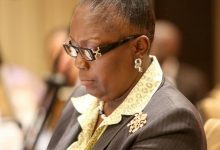 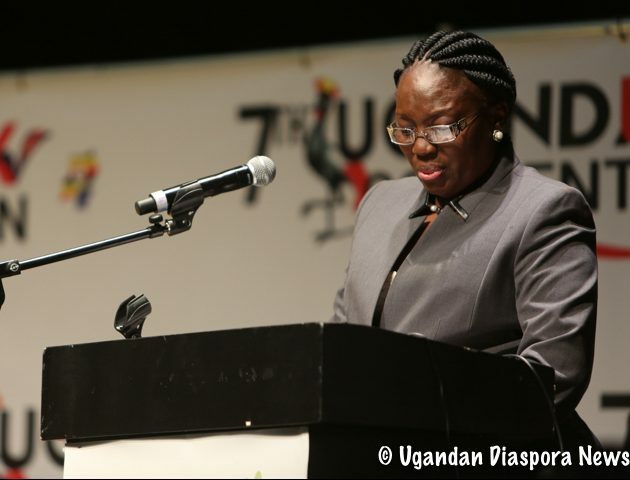 Rebecca Alitwala Kadaga. 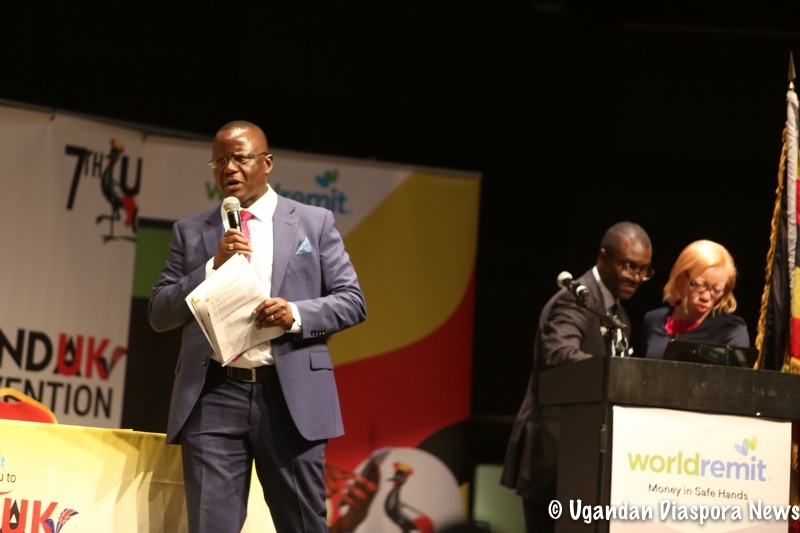 Although the convention was off to a late start owing to the Ugandan culture of poor time keeping the emcee Mr. Geoffrey Semaganda did well in closing the gap and managing the program from start to finish. 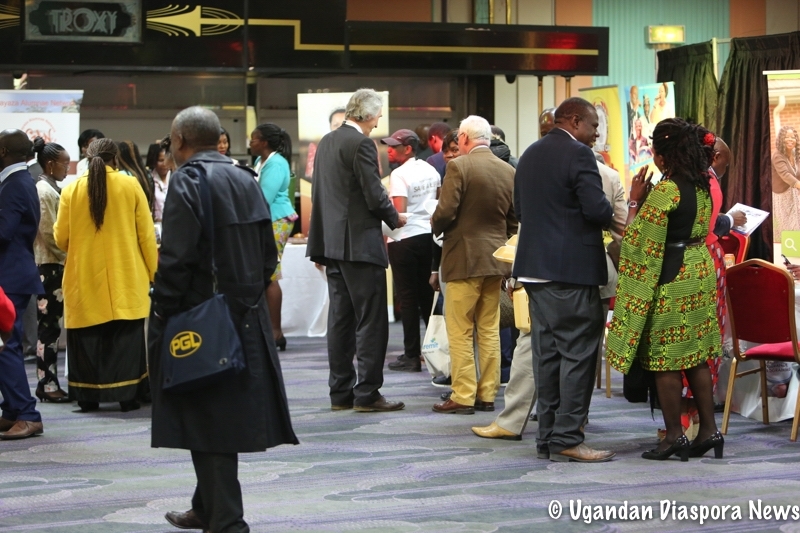 Among the notable speakers were Uganda’s new High Commissioner to the UK Ambassador Julius Moto, who reiterated the importance of the forum in helping to promote Uganda and attract investors. 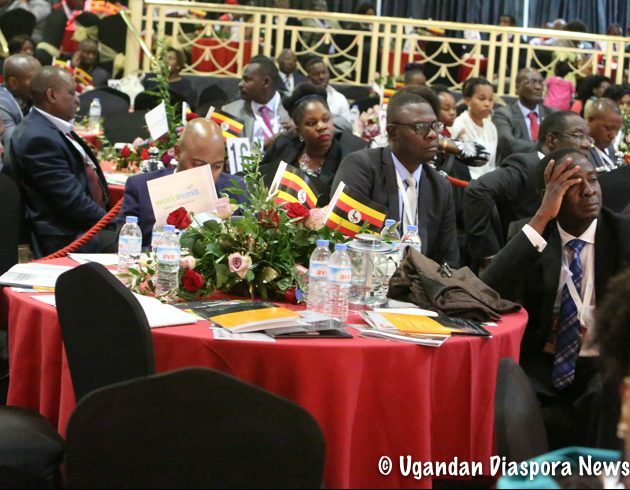 On his part Lord Dolar Popat – a trade envoy of the UK Prime Minister in charge of Uganda and Rwanda whose parents were expelled in 1971 by Idi Amin’s regime – outlined the UK’s export growth strategy and how Uganda could tap into this area. 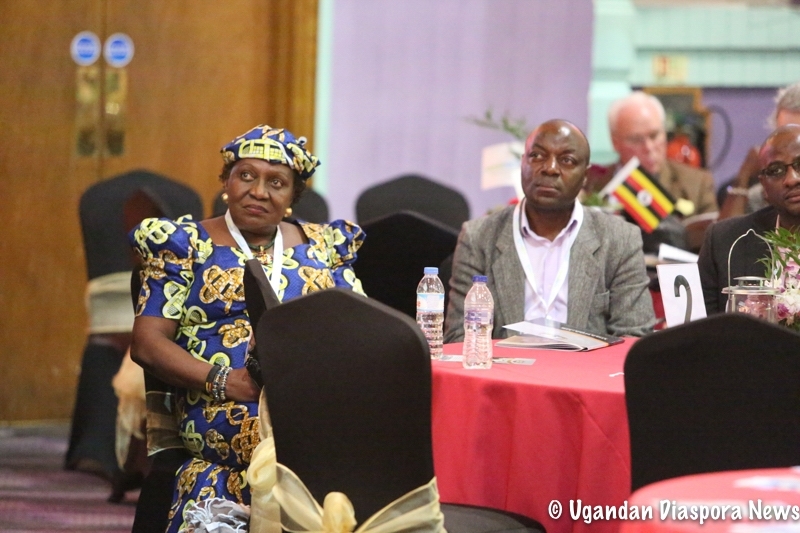 Other guest speakers included Dr. Simon Kagugube – Executive Director Centenary Bank, Mrs. Victoria Sekitoleko – The Chairperson Uganda Agribusiness Alliance, Dr. Maggie Kigozi – Chairman of the Board Zuri Model Farm, Dr. Ian Clarke – Chairman International Medical Group, Dr. Nandawula Kanyerezi Mutema – The Executive Director Clinic at The Mall, Mr. Samuel Kirubi – Managing Director Equity Bank and Mr. Michael Mugabi – The Executive Director Housing Finance Bank. 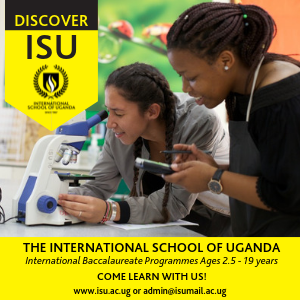 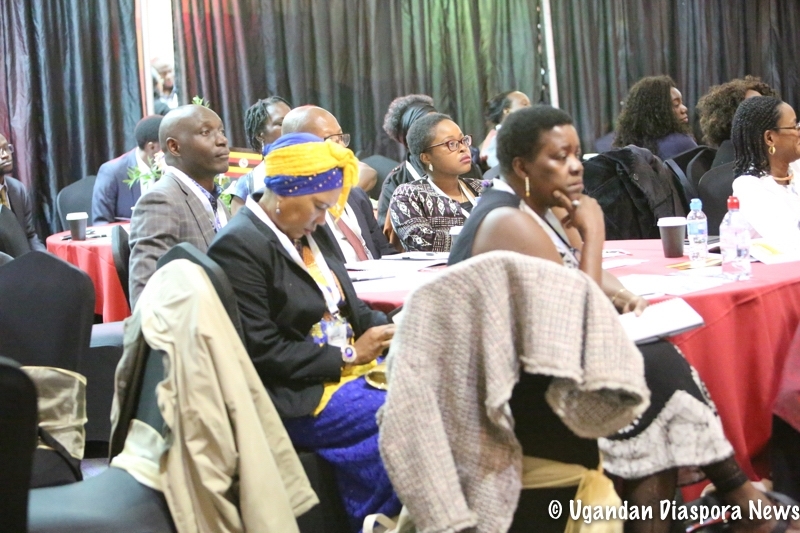 Topics ranged from doing business in Uganda challenges, common practices, risks and potential rewards, Agribusiness policies and incentives, Investment opportunities in Uganda and Diaspora rights as they pertain to voting and dual citizenship. 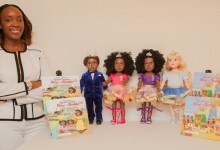 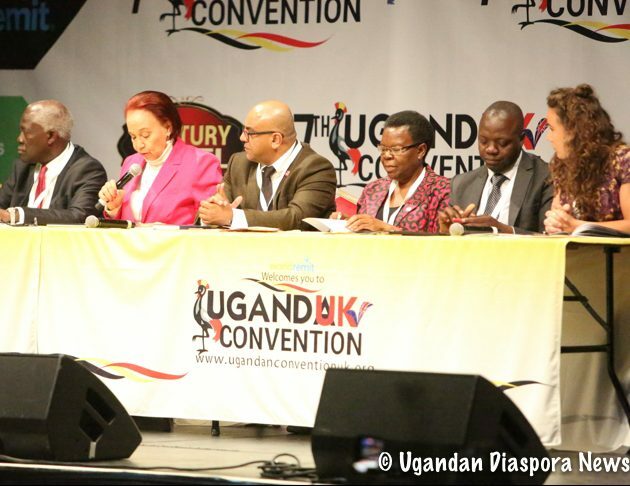 The latter of-course was a welcomed discussion although it had little room for diaspora feedback as some government officials highlighted the dual citizenship certificates awarded to a few citizens at the recent conventions held in North America. 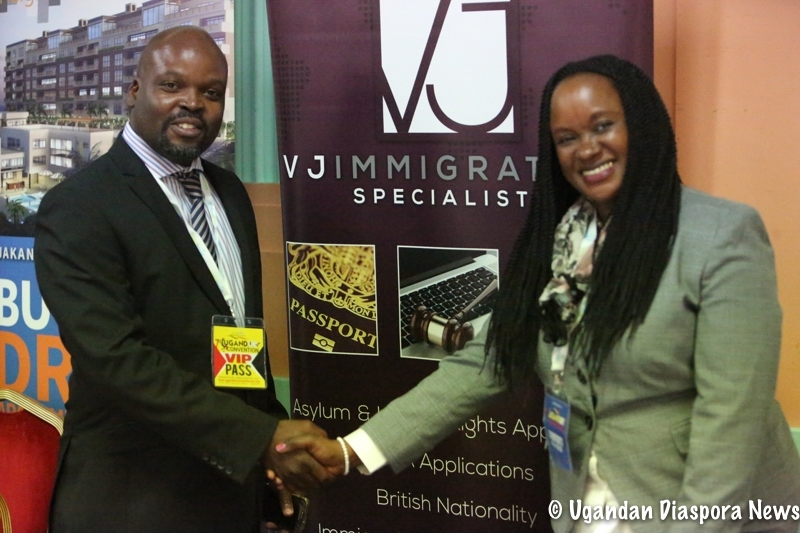 The issue of fees and our citizenship rights remain thorny as many have not been properly addressed by the government including a pending petition seeking the interpretation of the dual citizenship law. 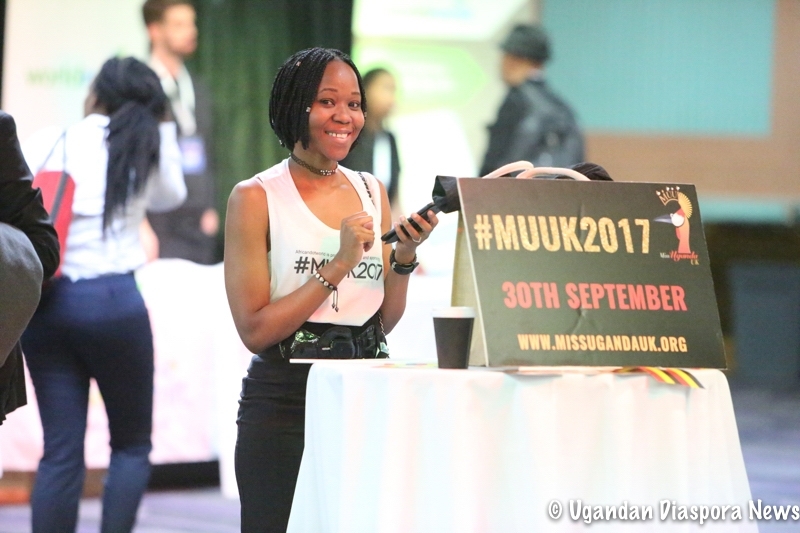 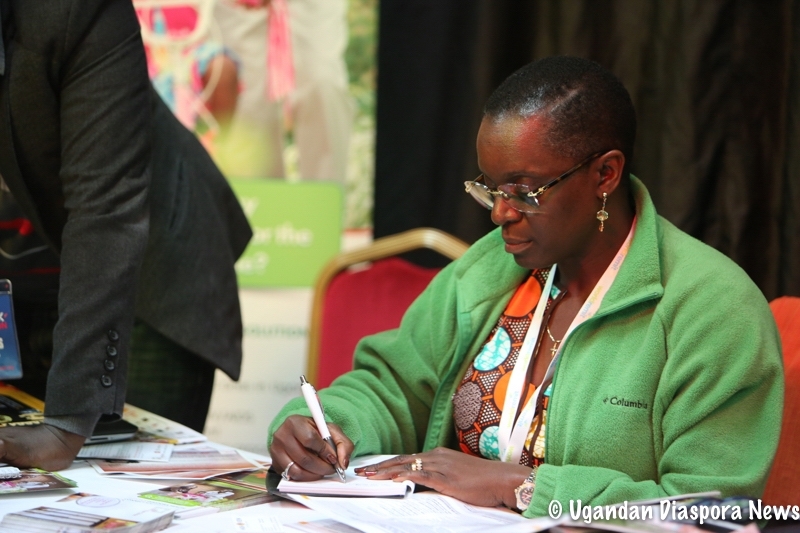 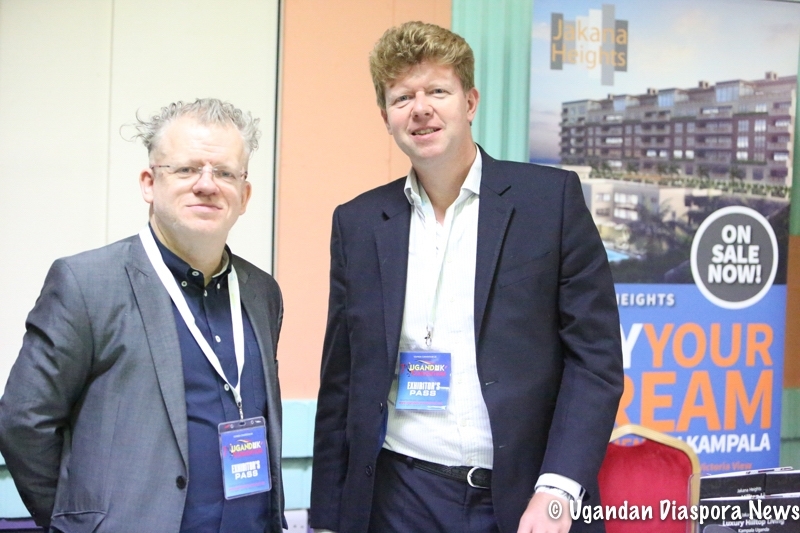 Missing at the UK convention was representation of Uganda’s tourism bodies tasked with marketing Uganda’s vast tourism potential abroad. 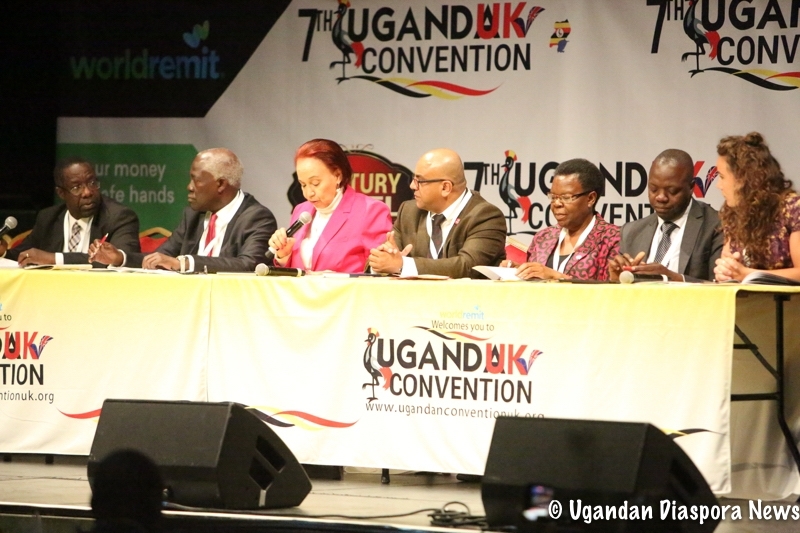 The area of opportunity in my view is for organizers allowing fewer panels for exhaustive dialogue since the many topics discussed result in the failure of the key stake holders to discuss or articulate issues in the allotted time. 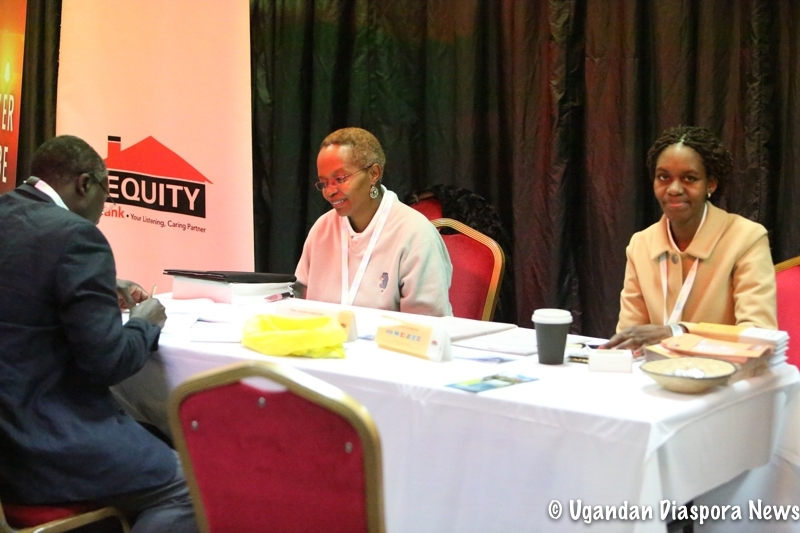 Also having a serious business forum occupy the same space with vendor areas only separated by curtains created some distraction as the noise easily filtered through – a hotel setting would have sufficed or a breakout room for the business forum. 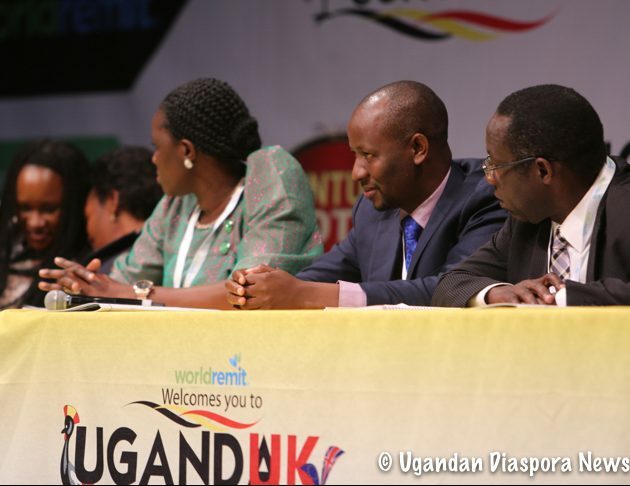 Overall it was a good initiative for which the organizers deserve recognition for pulling off such an event. 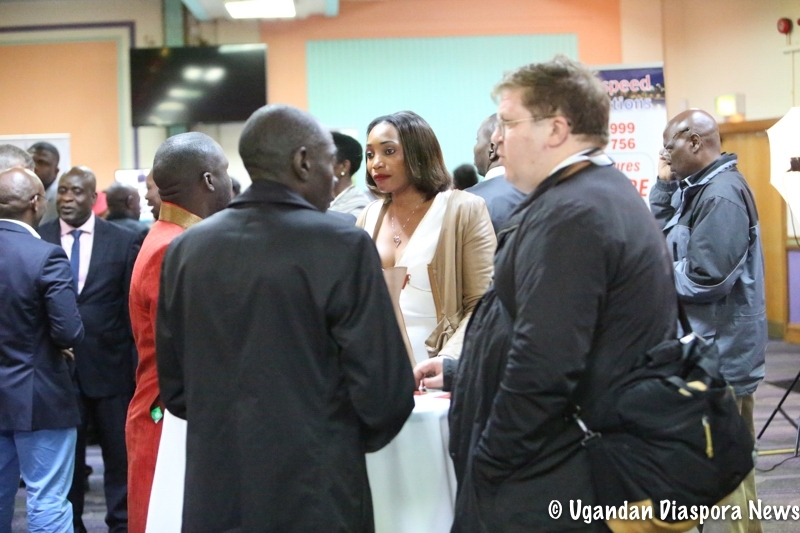 At about 6:30pm the Business Expo was officially closed by the Speaker of Parliament Hon. 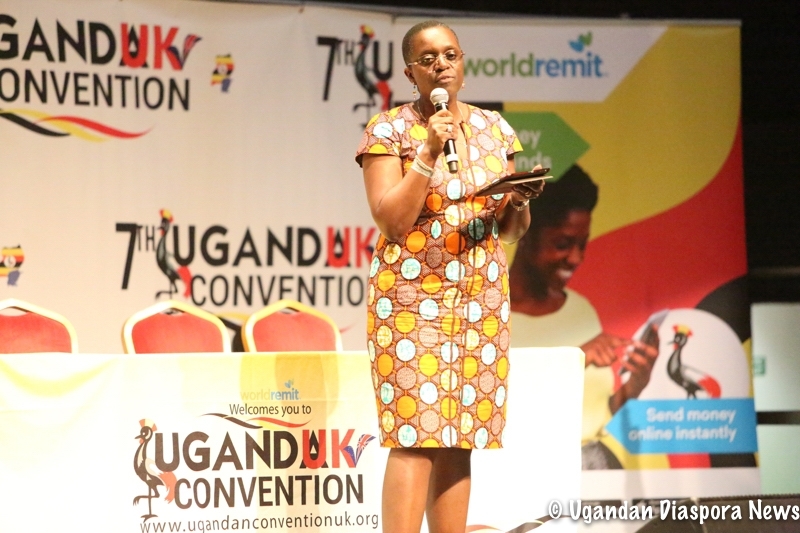 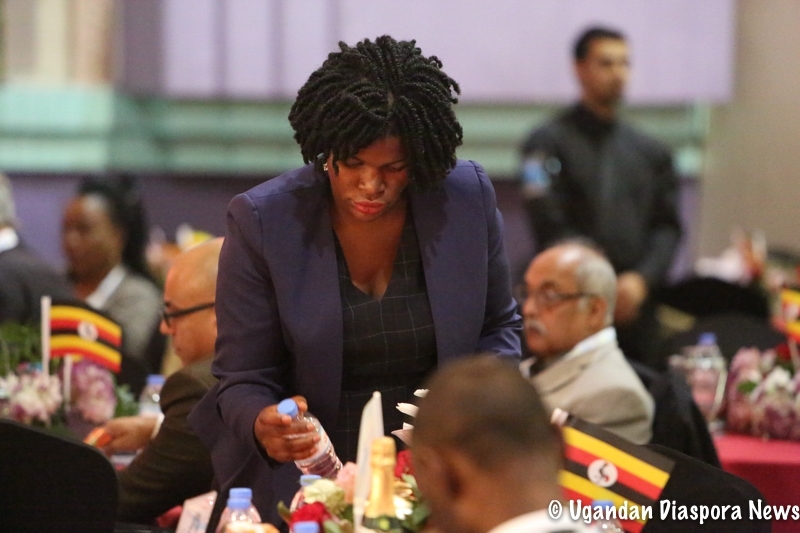 Rebecca Alitwala Kadaga and it was then time to set up for the Convention Entertainment. 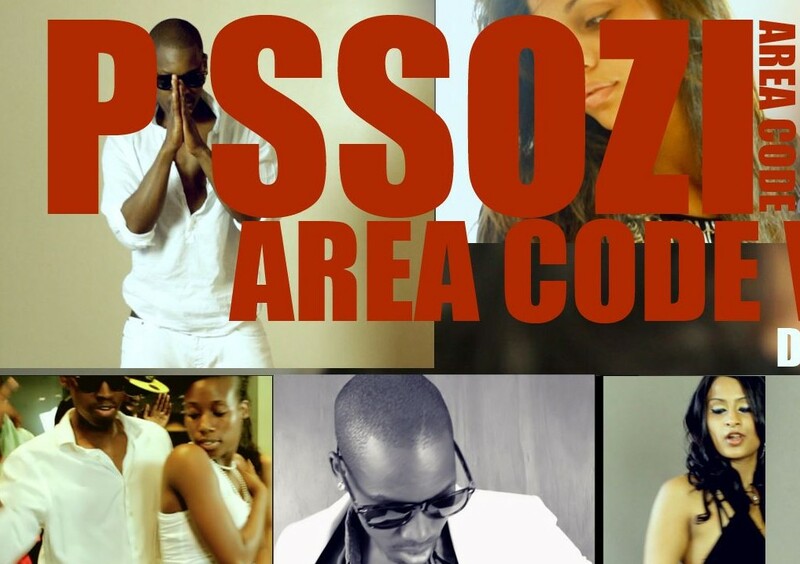 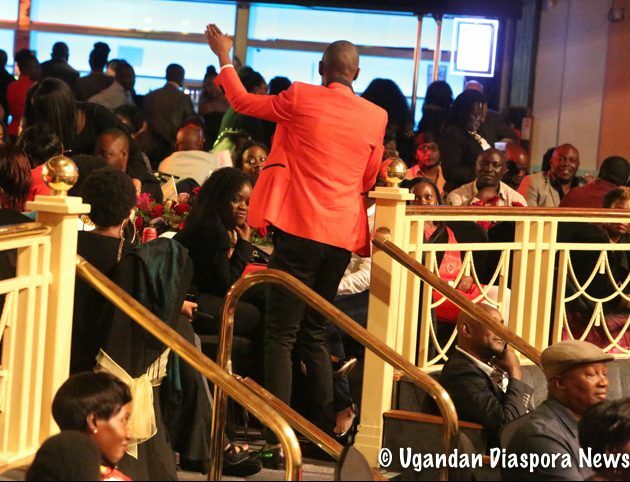 The concert kicked off around 9pm emceed by comedian Alex Muhangi and featured Buikwe Woman MP – Gospel artist Hon. 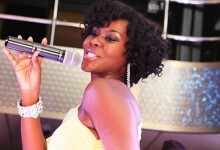 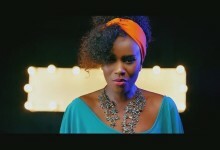 Judith Babirye whose Maama classic brought the house down. 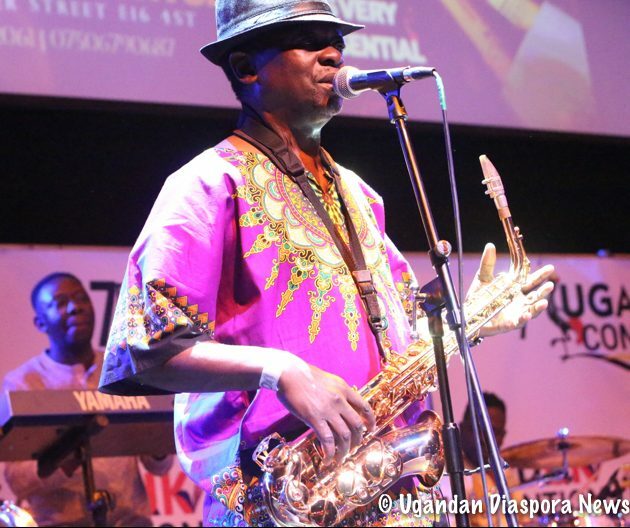 However it was the main headliners of the evening led by the legend himself Moses Matovu and Afrigo Band whose performance and skill cemented their place as Uganda’s finest and perhaps the greatest band of all time! 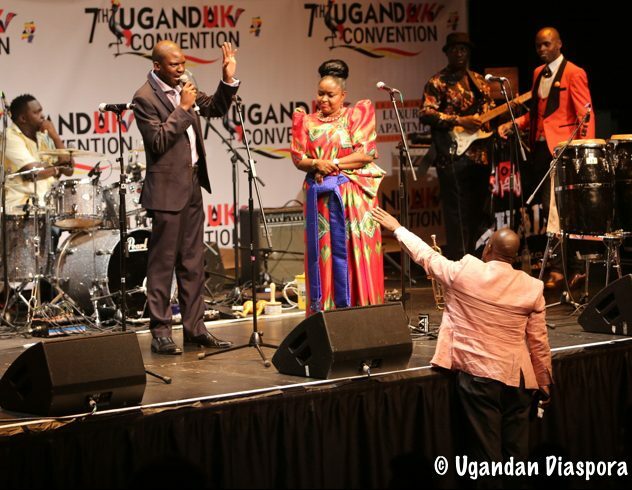 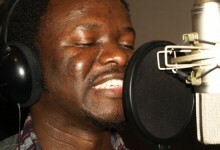 There was an awkward moment during the concert when a gentleman representing the NRM diaspora league came on stage to help promote the purchase of the CDs of the musicians on stage — pledging to buy all the unsold music if no buyers were found, a move that seemed to rub the audience the wrong way prompting the event organizer to intervene. 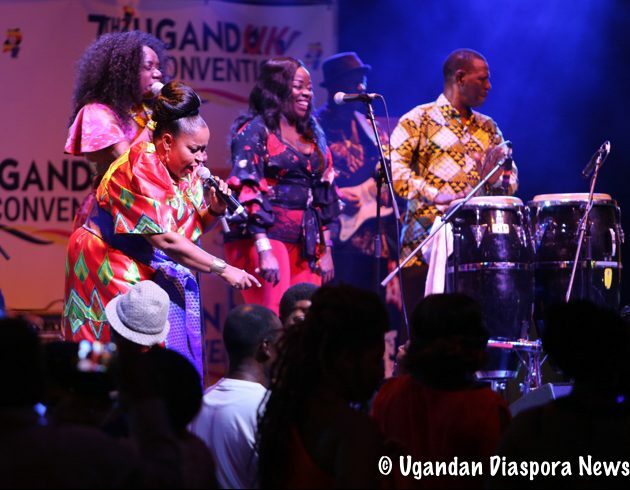 Overall the rest of the concert seemed to go on without a glitch and Afrigo band lived up to their name performing many of the crowd favorites. 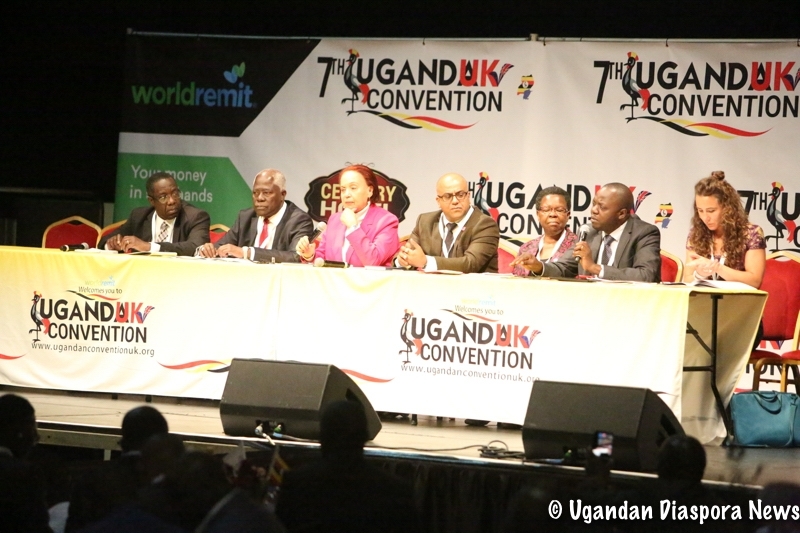 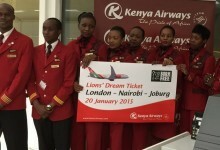 A special thank-you to Mr. Mutenza and all the sponsors who made the UK Convention a reality. 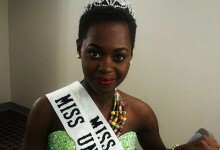 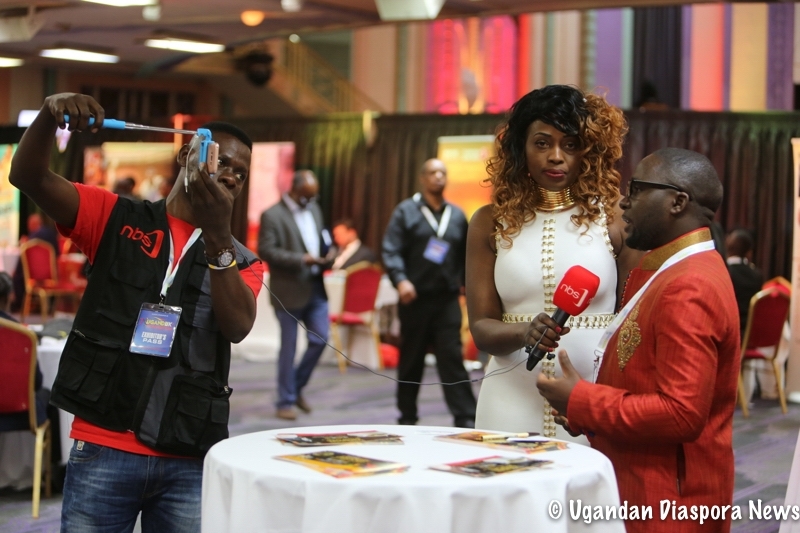 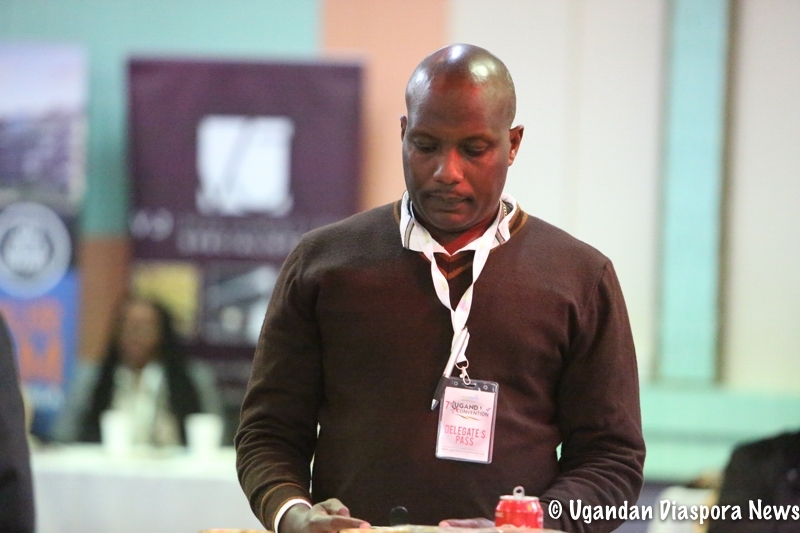 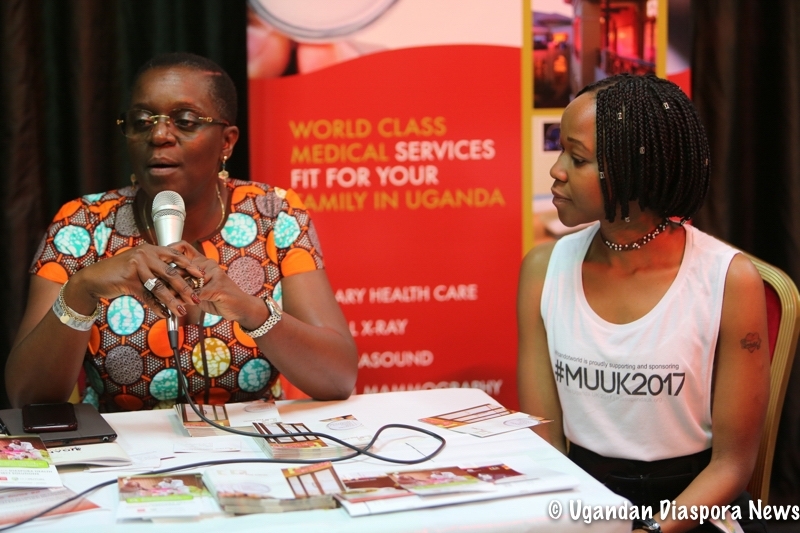 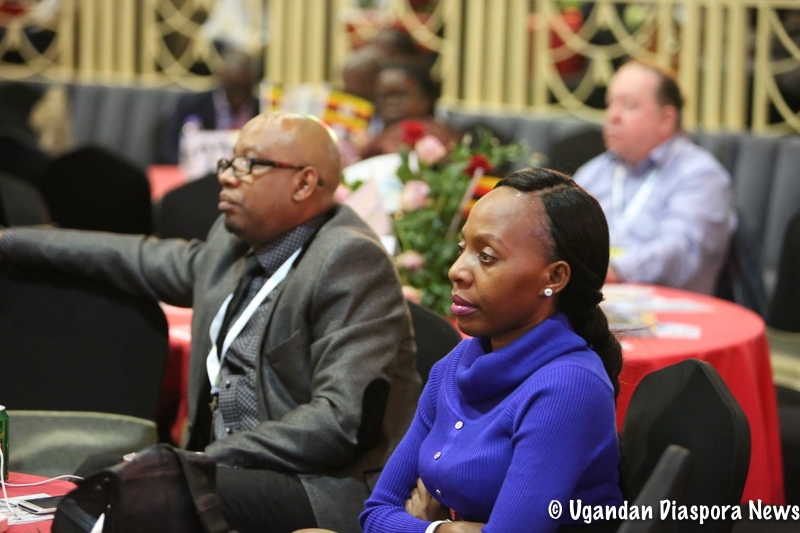 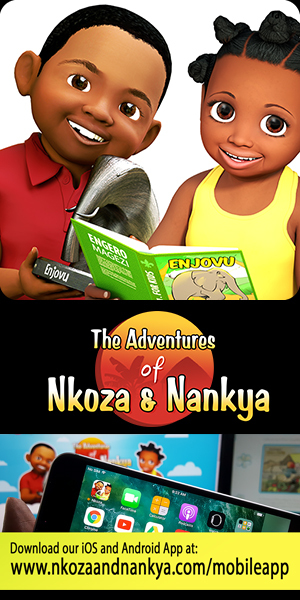 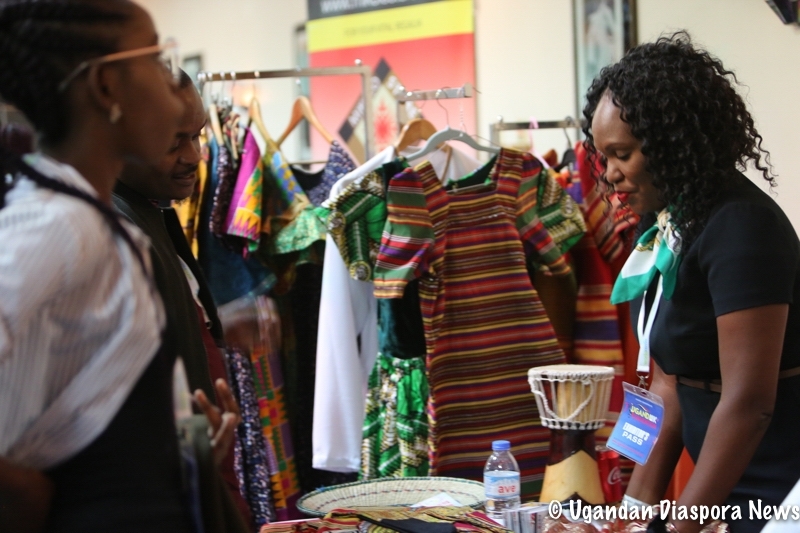 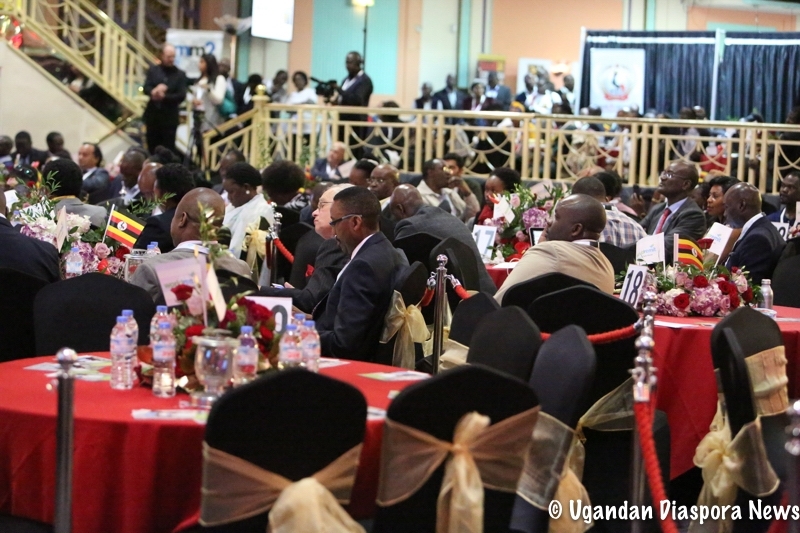 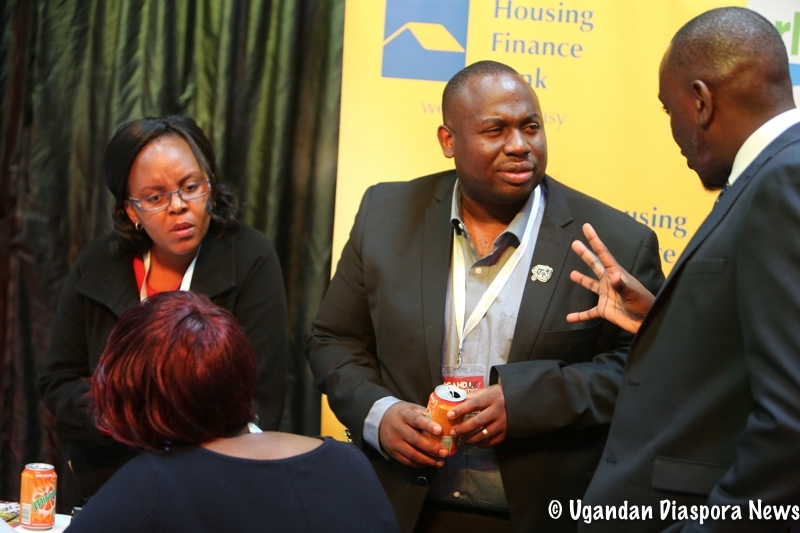 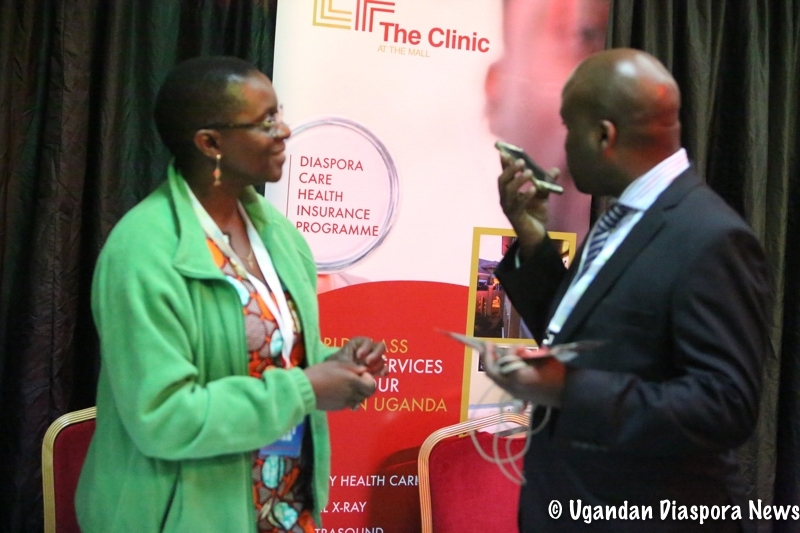 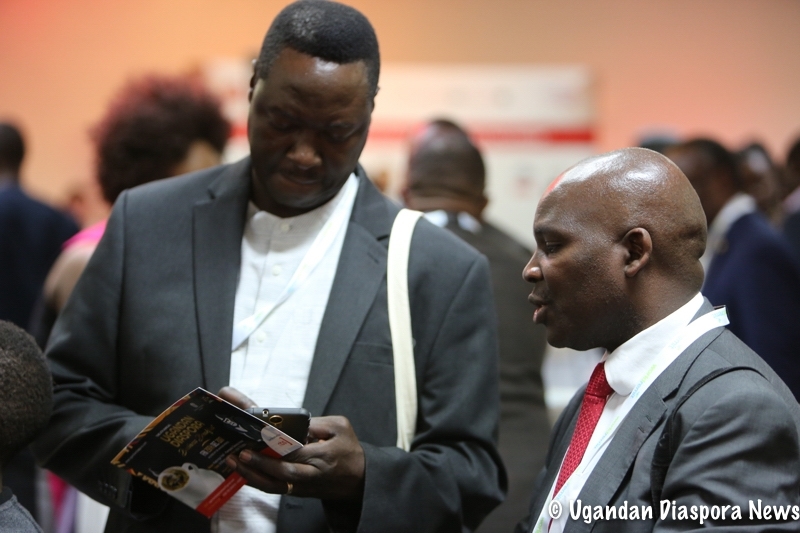 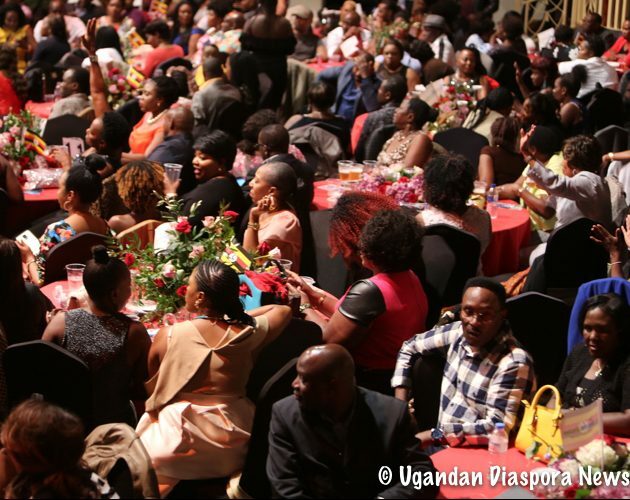 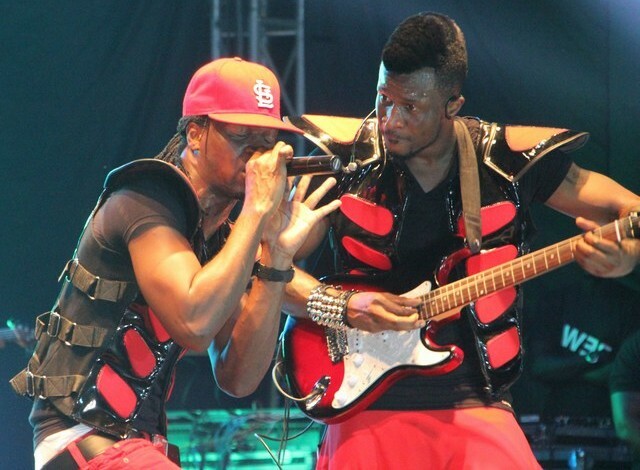 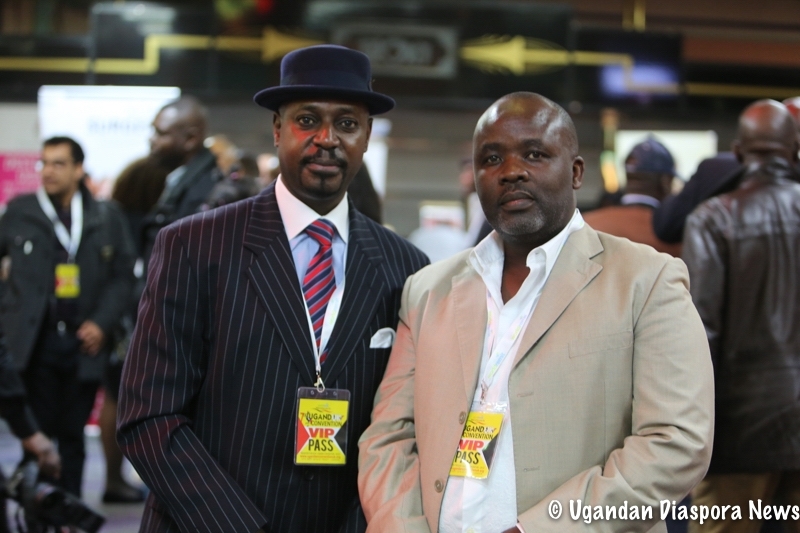 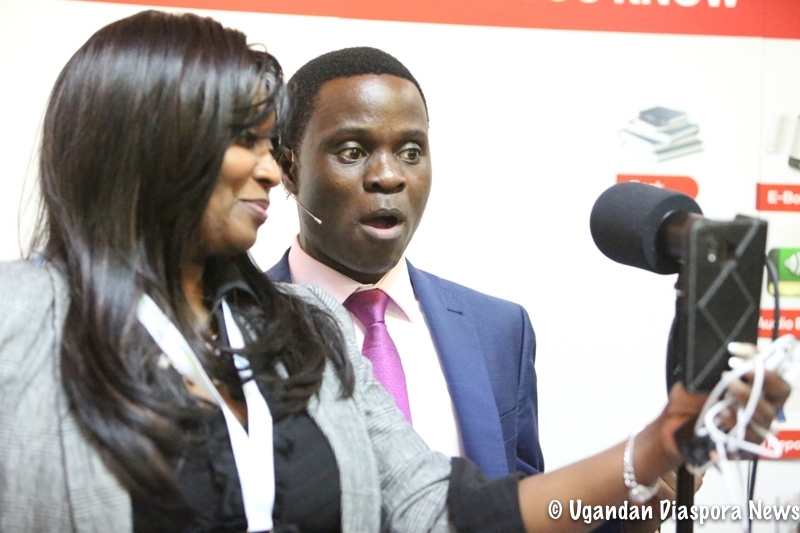 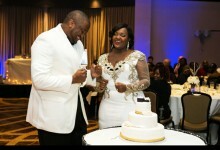 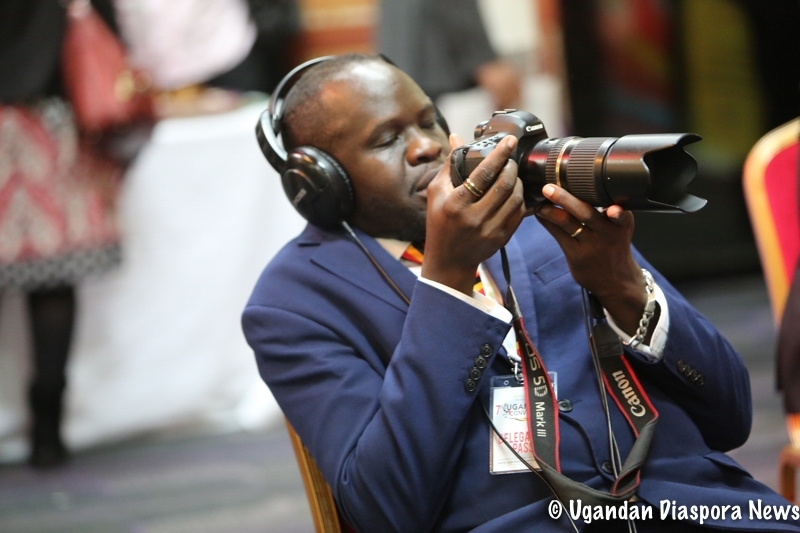 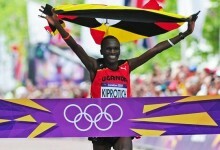 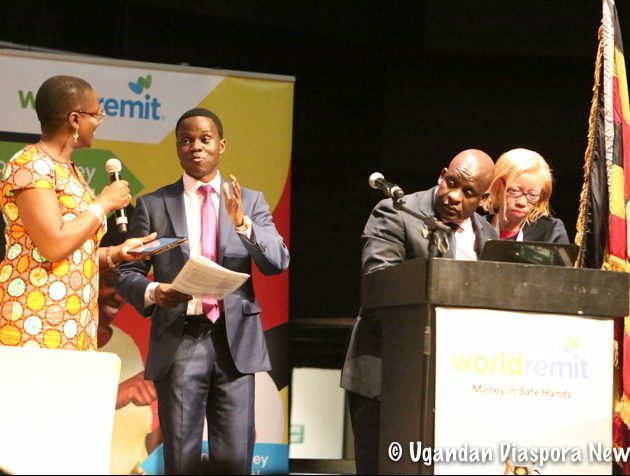 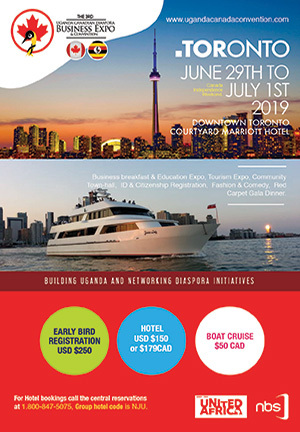 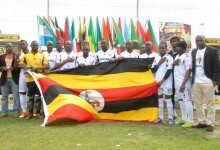 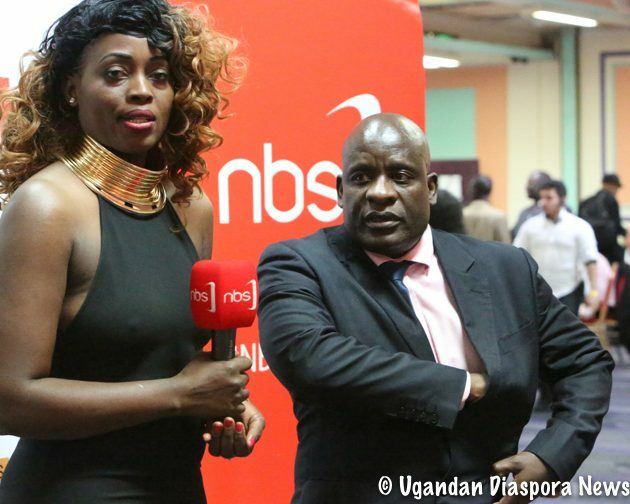 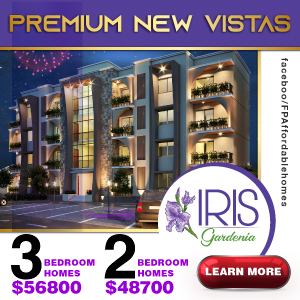 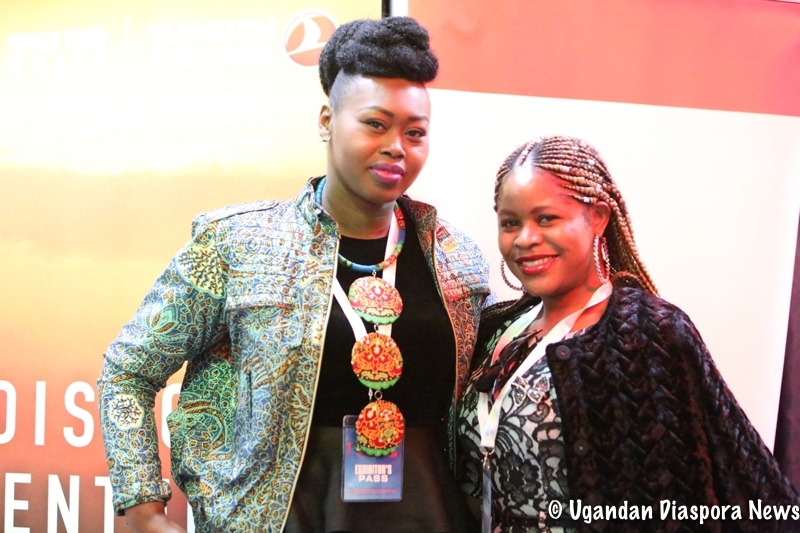 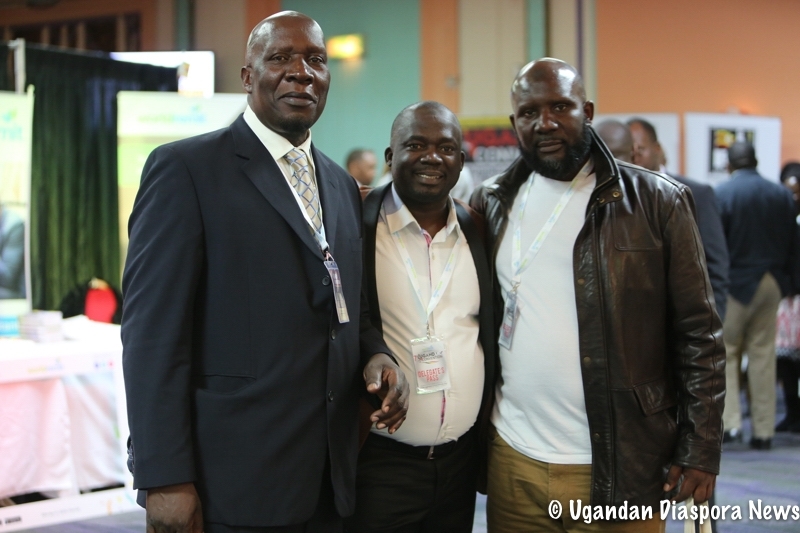 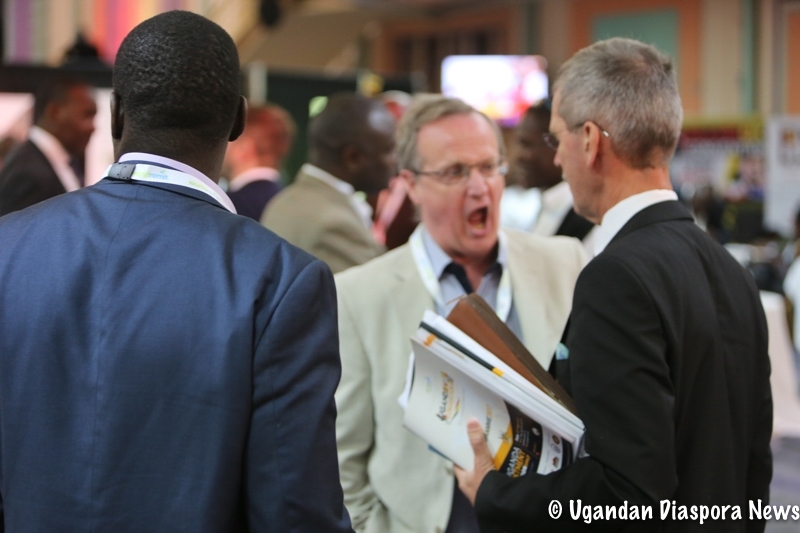 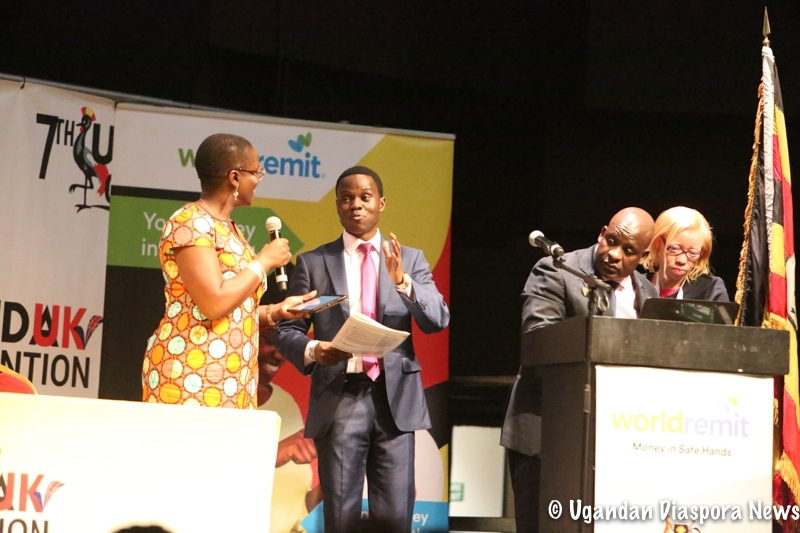 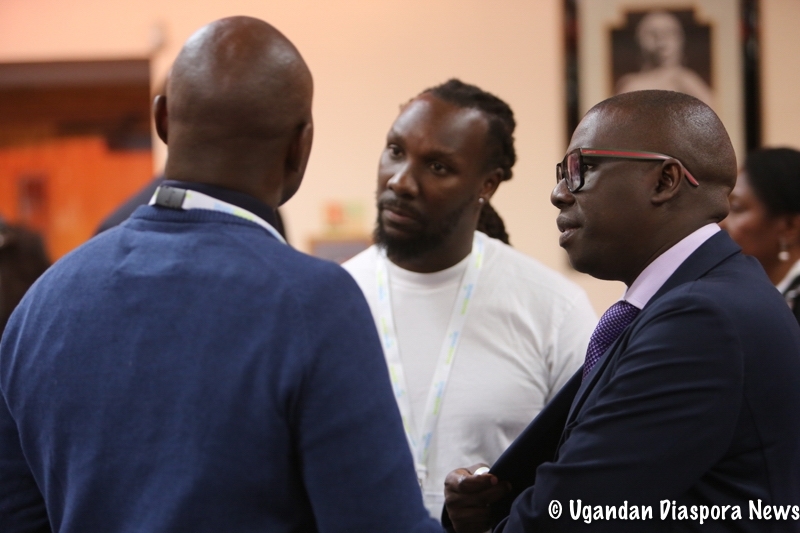 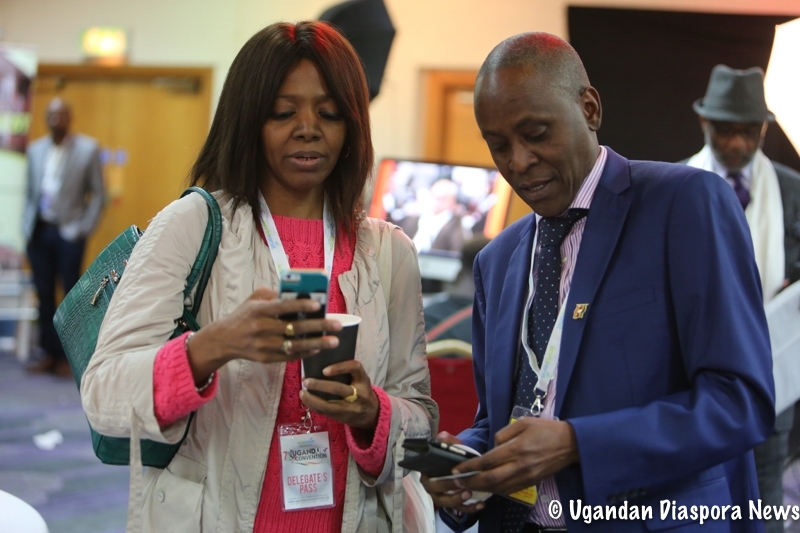 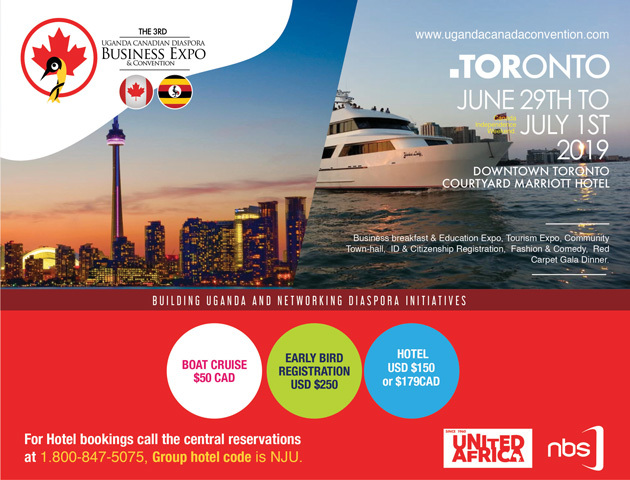 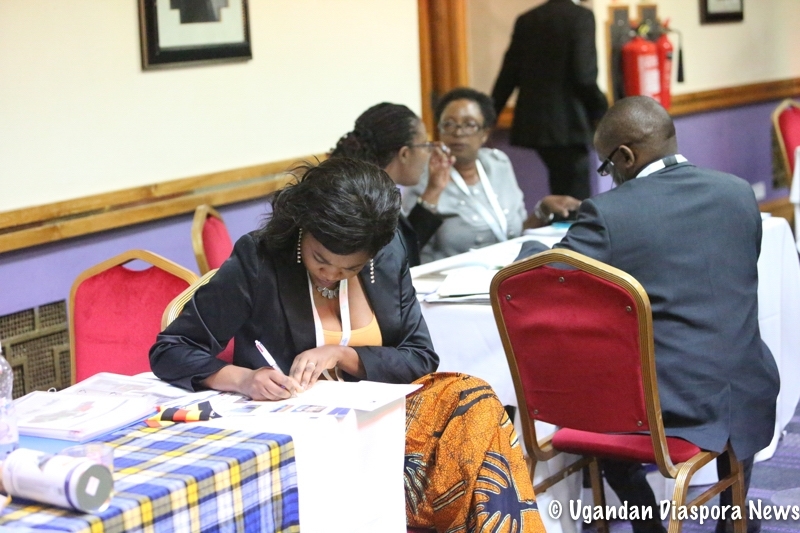 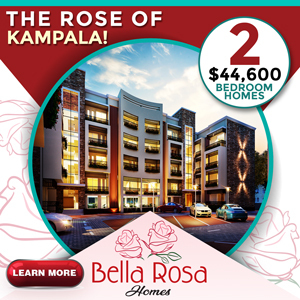 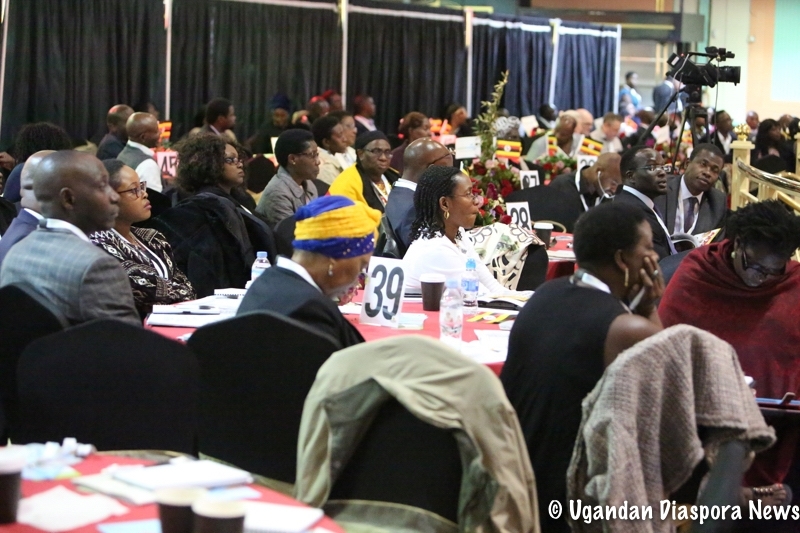 Ugandan Diaspora News now brings you all the highlights in pictures of the business expo and evening entertainment!